Uncanny Is Opening an Internship! POC and Native and Indigenous People HIGHLY Encouraged to Apply! Uncanny Magazine Issue 19 Cover and Table of Contents! Meet New Uncanny Podcast Reader Stephanie Malia Morris! 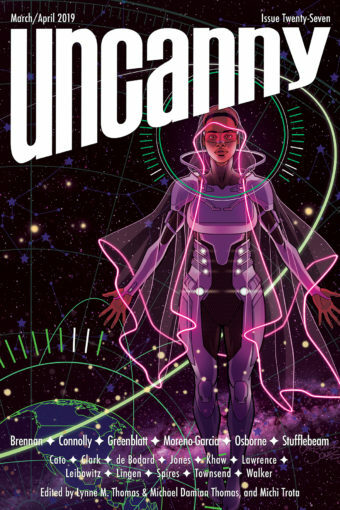 Uncanny Magazine Issue 18 Cover and Table of Contents!